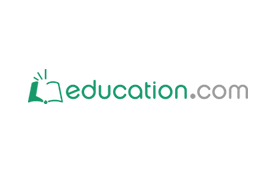 Education.com is a one-stop online destination for educational information and services for parents of children in preschool through grade 12. The site offers the ability for parents to easily find over 4,000 reference articles from the most respected non-profits, government agencies, and universities in the country, plus cutting edge editorial content, communities, and tools to answer education related questions. Education.com, headquartered in Redwood City, Calif., was founded in 2006. The company is backed by leading venture capital firms Azure Capital and TeleSoft Partners.